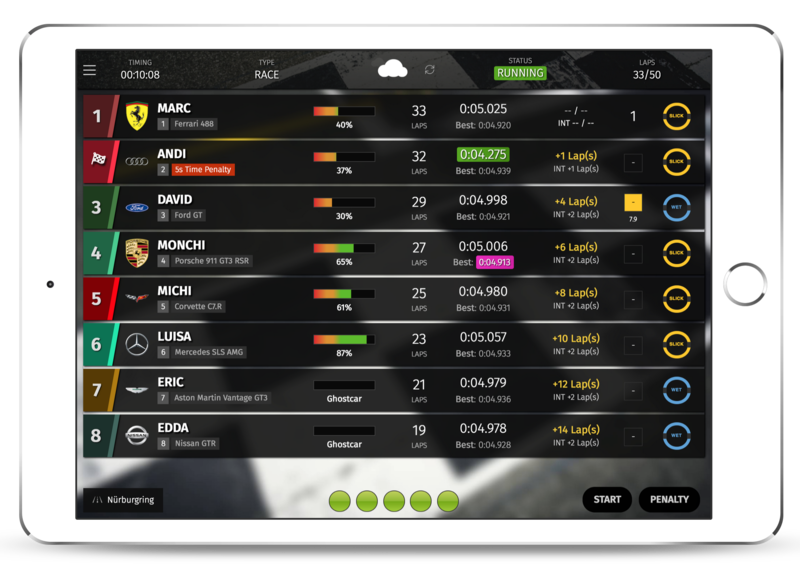 All drivers can connect their personal mobile devices to SmartRace and track their lap times! Including changing the brake balance, vibration on certain events and more! 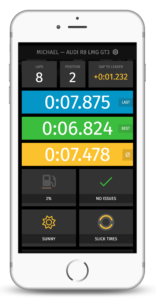 You're searching for an alternative to the Carrera Race App as a lap counter for your Carrera Digital race track? Search no longer! 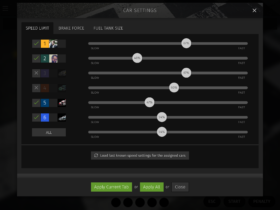 SmartRace connects to your digital Carrera race track (1/32 or 1/24) with bluetooth using AppConnect. 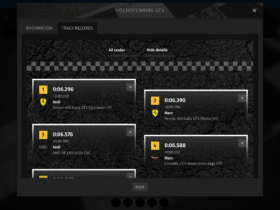 SmartRace is not only a simple lap counting software, but does much more. It is being continuously further developed – also driven by ideas coming directly from the community of SmartRacers. Become a part of it now! Personalized voice output for important events. 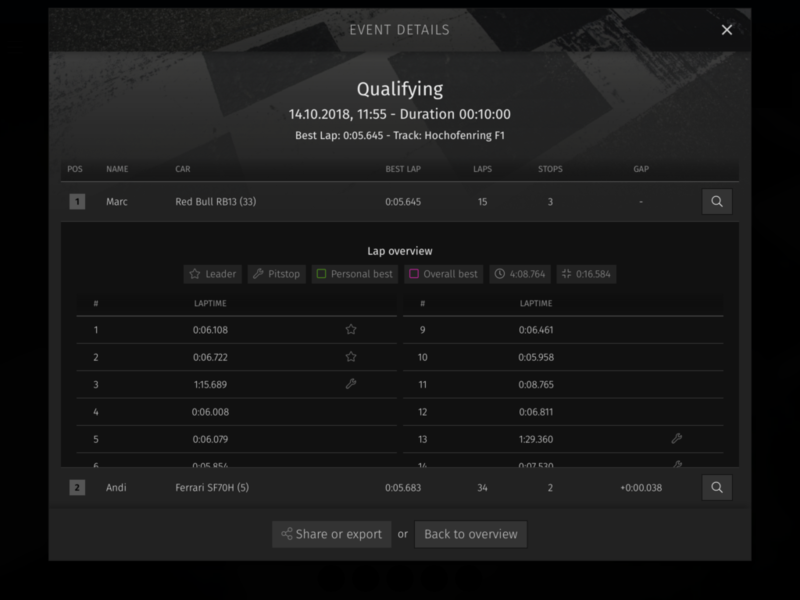 Lots of interesting statistics for races & qualifyings. 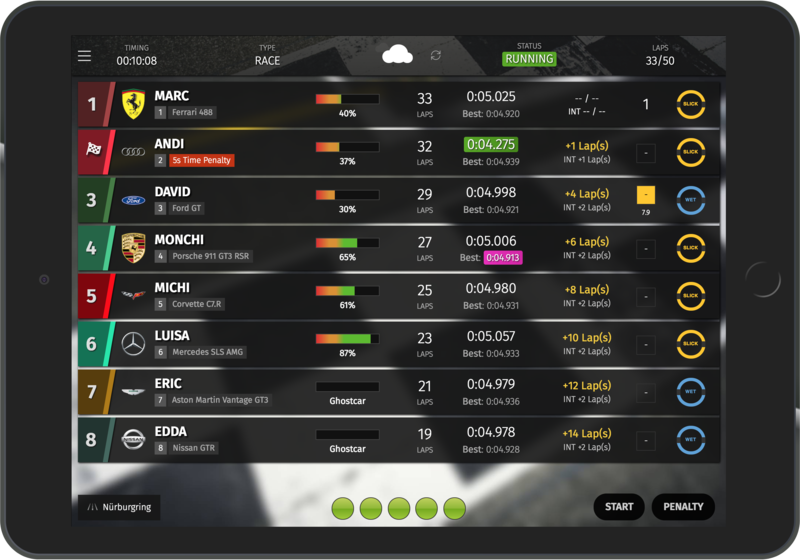 Track lap times, sector times and much more for all drivers. 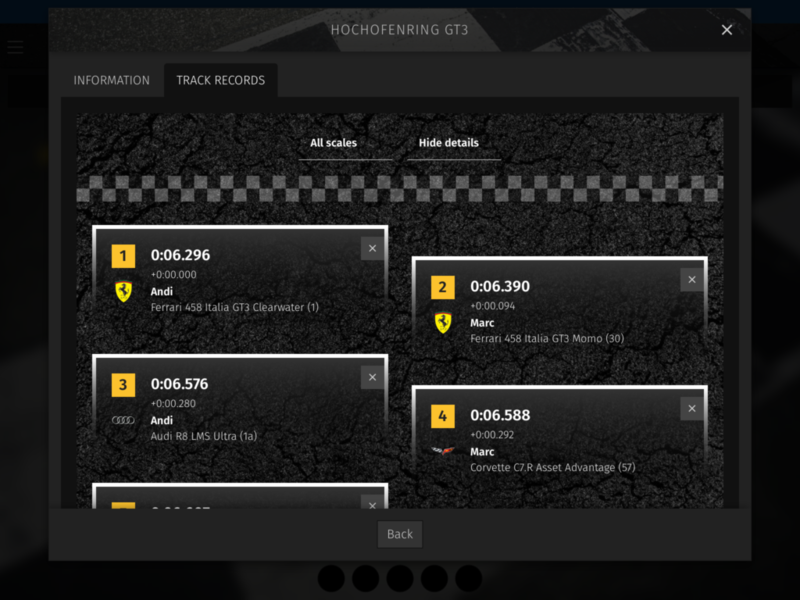 Share your results and records easily with other people. 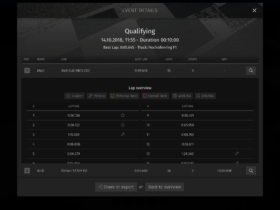 Do free practice, qualifyings or time/lap based races. You’d like to know what SmartRace looks like? There you go! You can find many more screenshots here. SmartRace is available for iOS and Android. Find answers to some of the most asked questions. If you need more help, head over to the manual or simply file an issue at support.smartrace.de. Does SmartRace work with other bluetooth dongles? Unfortunately not. SmartRace does only work with the AppConnect dongle from Carrera and not with other dongles such as the CockpitXP Bluebox. Which Carrera hardware to I need? To use SmartRace, you'll need the Control Unit (20030352) and the AppConnect dongle from Carrera. 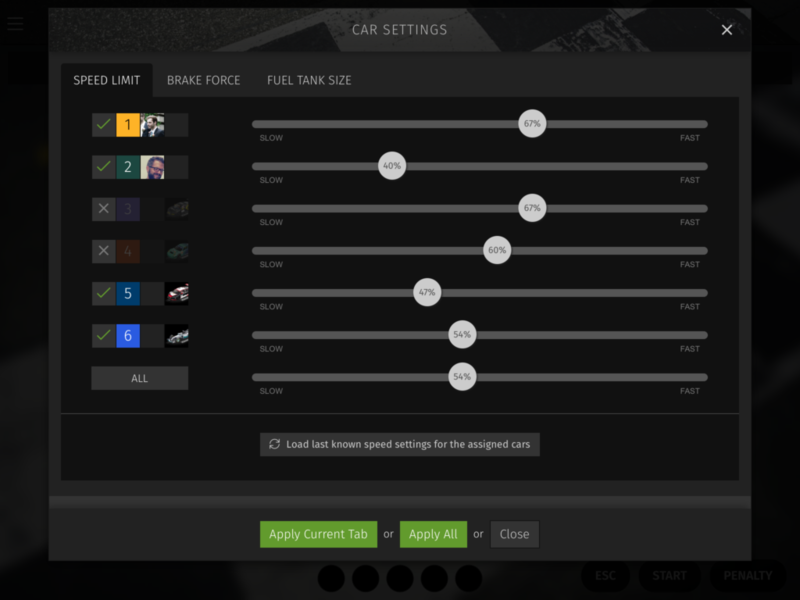 SmartRace does not work with the Carrera Black Box. Something is not working as expected. Don't worry! Please take a look at the manual or drop me a line at support.smartrace.de if you think you found an issue. Thanks! Which company is behind SmartRace? None. SmartRace is a one man project. If you want to learn more about this, head over to this page. I will release new version as often as possible. If bugs where fixed, I usually release immediately. Besides that, I'm continuously working on new things which I will release step by step. You'll need a tablet or smart phone with either Android (version 4.3 or later) or iOS (iPad 3/iPhone 4s or later).